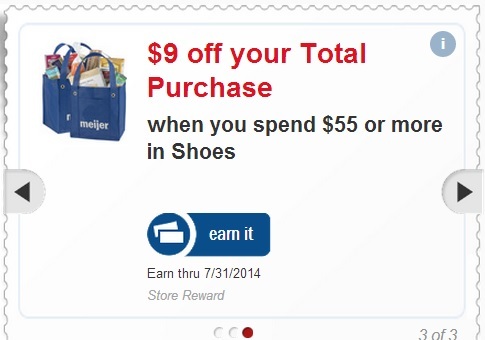 Meijer: Last Day to Save 5%, 10%, and 20%! (makes groceries and back to school shopping cheap)! Today is the last day you can save 5% off groceries, and health & beauty care, 10% off general merchandise, and 20% off of apparel, shoes, and jewelry. Plus, in addition to that you can use any mperk coupons you may have, manufacturer coupons, and earn towards mperk rewards. Mperk rewards count the before coupon price, so if your total drops below the reward amount after you use coupons, you will still get that reward. Keep in mind mperk rewards reset monthly and your amount earned does not carry over. There is a Meijer shopping guide over here you would like more information on how to shop at Meijer. You can also purchase all of your items in one transaction if you are using one mperks account. The percentage off coupons will apply to each item accordingly. Keep in mind you can only select one reward from each category. If you plan to earn other rewards that are in the same category you will need to do a separate transaction and use a different mperks account. For exampe: Use your mperks account on the first transaction. Then use another mperks from someone else in your household. All deals mentioned are estimates since there is no way for me to know the exact outcome without shopping. Deal ideas for groceries and health & beauty care: (these is an example of how you can combine the mperk reward with the 5% off coupon. The 5% off coupon will be applied to all grocery and health and beauty care items that you are purchasing. 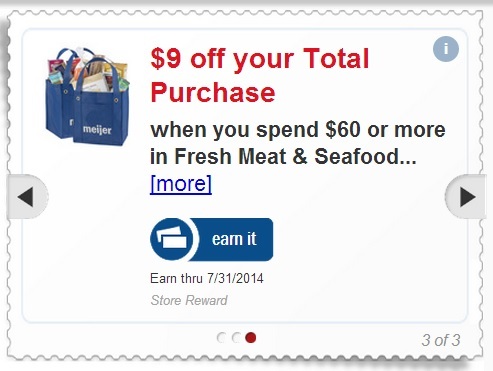 There an mperk to save $9 on your next purchase when you spend $60 on meat, chicken, or seafood. * It’s cheaper to purchase the family packs, break them down into smaller packs at home, and freeze them. Final cost: $48 for $60 in meat, chicken, or seafood! * Save $5 off of your next purchase when you purchase $20 the Auto department, plus get 5% off. 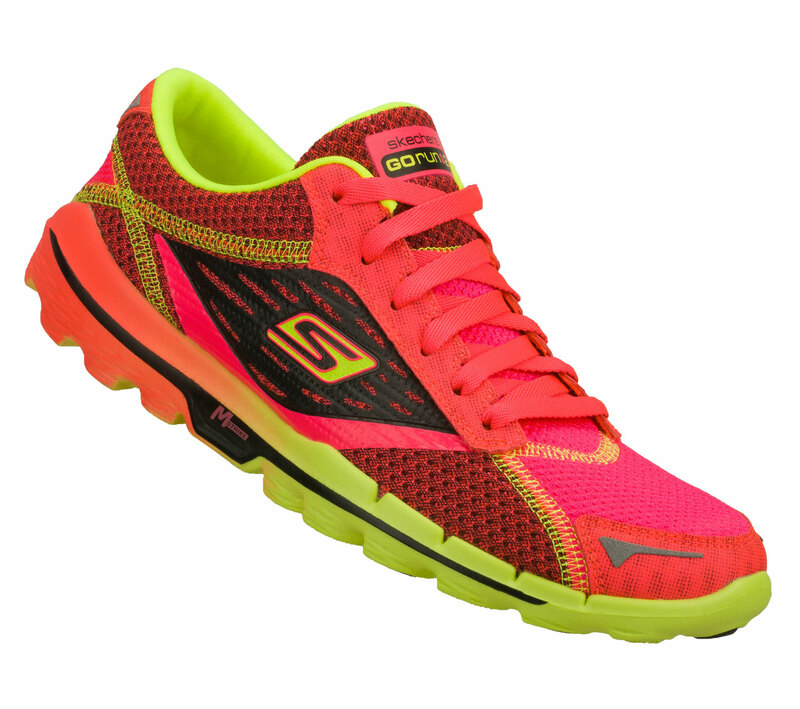 * Save $9 off of your next purchase when you purchase $55 in Shoes, plus you’ll get 20% off, and there is a 10% off mperk coupon for Sketchers. You can also purchase a different brand and still get 20% off and earn the $9 reward as long as your total is $55 prior to the discount. 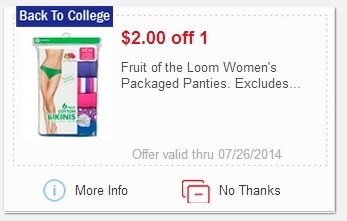 There is an mperk coupon to save $2.00/1 package of Fruit of the Loom Women’s underwear, plus you’ll get an additional 20% off!